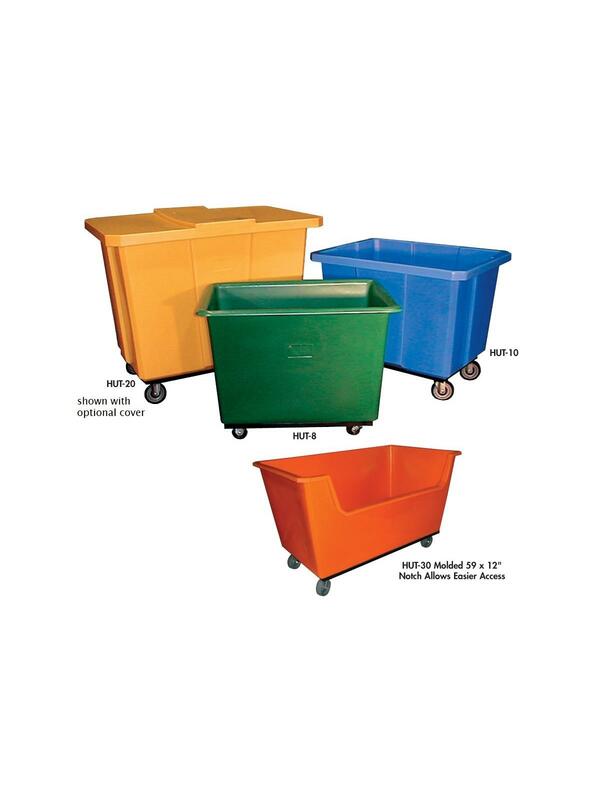 Dimensions include casters: For 3" casters - subtract 4" for body depth. For 5" casters - subtract 6.5" for body depth. 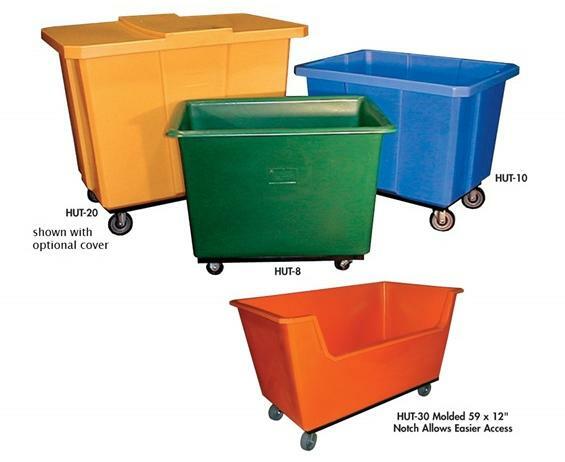 HUT-30 and HUT-45 feature a molded notch for easy access. 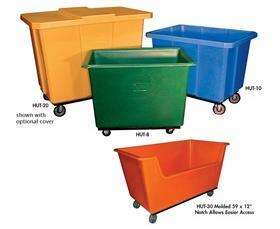 See Related Items tab Industrial Poly Box Truck Covers. 62 x 32 x 33"62 32 33"
54 x 25-1/2 x 28"